Mega Sale! 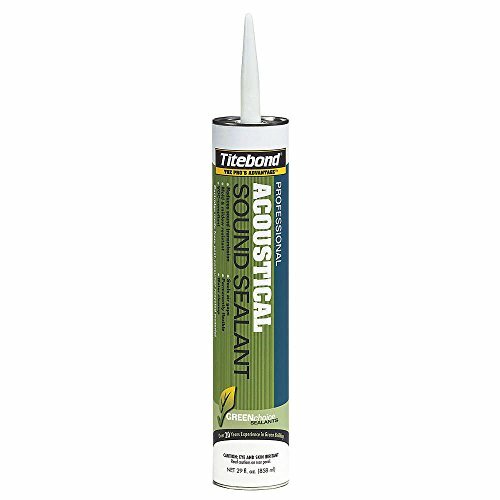 Save 26% on the Acoustical Smoke and Sound Sealant, 28 oz by Titebond at UCBC Group. MPN: 2892. Hurry! Limited time offer. Offer valid only while supplies last. ' Acoustical Smoke and Sound Sealant, Base Acrylic Polymer (Non-Reactive), Size 28 oz., Container Type Cartridge, Color White, Performance Temp. Green Environmental Attribute: VOC Levels Meet SCAQMD Requirements Item: Acoustical Smoke and Sound Sealant Size: 28 oz. Color: White Application Time: 10 to 15 min. VOC: 40.82g/L Base: Acrylic Polymer (Non-Reactive) Container Type: Cartridge Performance Temp. Range: -20 Degrees to 150 Degrees F Application Temp. Range: 40 Degrees to 120 Degrees F Full Cure: 24 hr.